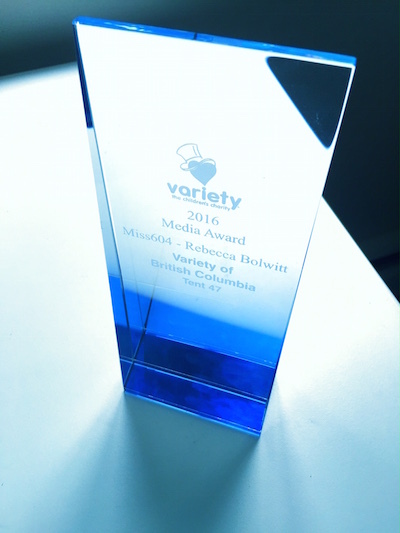 I am very honoured to announce that Miss604 has won an international media award from Variety – The Children’s Charity. The award recognizes the outstanding contribution of a media supporter to one of the 42 chapters worldwide, and Miss604 was selected earlier this month at the Variety World Conference in Jersey, UK for my support of Variety BC. Every year at the conference, the tents, or chapters, nominate a partner in a number of categories. This year Variety of BC, Tent 47, nominated Miss604 who was among nominees from other Variety Tents in Canada, the United States, Great Britain, Australia and New Zealand. Scott Graham, John Biehler (who did on site 3D printing), Marc Smith, Ariane Colenbrander, Leeann Froese, and Christina Pocock. I want to particularly thank my husband, John Bollwitt, for his unwavering support and spending the last two Valentine’s Days with me and Variety. Thanks to the efforts of my team, throughout the 22 hour telethon weekend we helped raise awareness online, reaching millions of social media accounts and even trending in Canada on Twitter on a very busy Saturday night and Valentine’s weekend. The media award recognizes and rewards individuals, companies or corporations who publicize Variety’s charitable efforts for children and in doing so, help Variety raise money to continue and expand their good work. Variety BC also took home the Variety International Award in the $3M+ category; the Presidential Citation (Bill Senghera); and the Corporate Award (Buy-Low Foods). 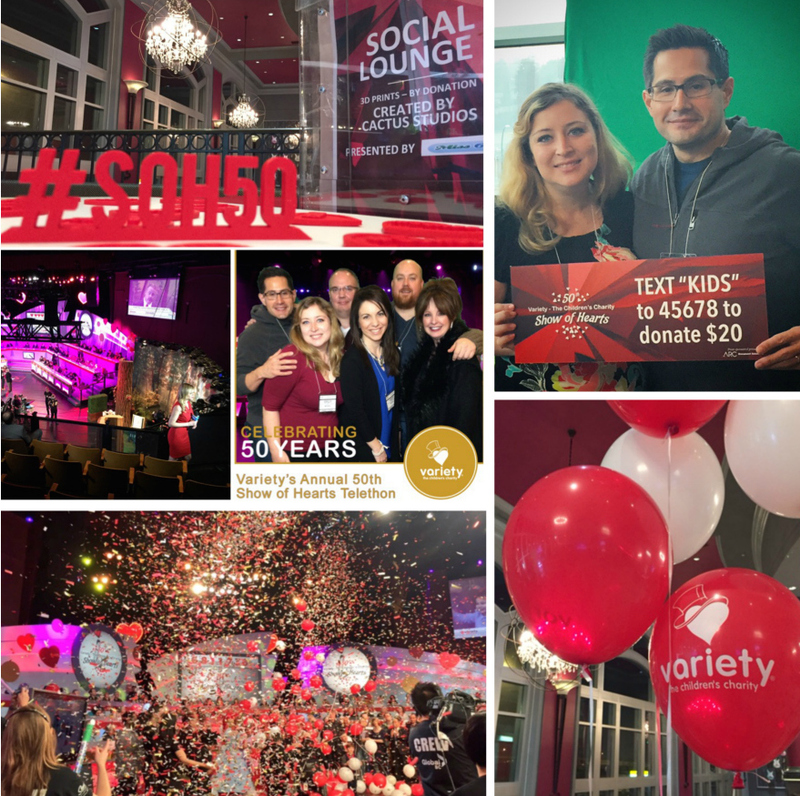 I am so excited to have had this partnership with Variety over the last two years, and to have been there when the balloons drop on telethon week to see them raise over $6.8M or children in BC. Thank you for reading, re-tweeting, sharing on Facebook, and supporting my efforts throughout the year! Follow Variety on Twitter and on Facebook to learn more about their work with BC kids throughout the year. So deserved! You quietly go about our business and make a huge difference!